Photo: Xiaomi CEO Lei Jun launches the company’s own chipset Surge S1 and Mi 5c smartphone on Feb 28, 2017 in Beijing, China. One of China’s most successful entrepreneurs has pledged to donate his entire bonus to charity—a sum that totals nearly $1 billion. 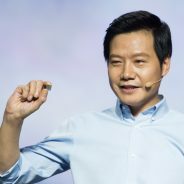 Lei Jun is the founder and CEO of Xiaomi, one of China’s leading smartphone manufacturers. On Wednesday, Xiaomi said in a regulatory filing that Lei would be given more than 636.6 million shares as a reward for “his contributions to the company.” According to CNN, that equates to roughly 7.54 billion Hong Kong dollars, or about $961 million. In the filing, Xiaomi announced that Lei intends to donate all of the shares (after deducting taxes) to charitable causes. However, the company did not name any specific recipients. While $961 million may sound like a lot of money, it’s relatively little compared to Lei’s overall net worth. According to real-time wealth estimates from Bloomberg and Forbes, the 49-year-old is worth approximately $11 billion. Xiaomi, which Lei founded in 2010, was once considered the world’s most valuable startup. After just three years, it was worth more than LG, Motorola, and Sony combined. By 2018, it became the fourth largest phone manufacturer in the world. Early critics called it a cheap replica of the iPhone. But as CNN reports, that’s not necessarily a bad thing. Xiaomi’s range of smartphones priced under $200 has made it the most popular phone manufacturer in India. But dominating the Indian market is far easier than dominating the U.S. market. If Xiaomi wants to take on that challenge, it will have to compete with leading manufacturers Apple and Samsung. Adding to that challenge is the fact that Xiaomi’s stock has taken a dip due to concerns about the U.S.-China trade war. The company is unlikely to infiltrate the American market until those issues are resolved.